Looking for a dose of culture? 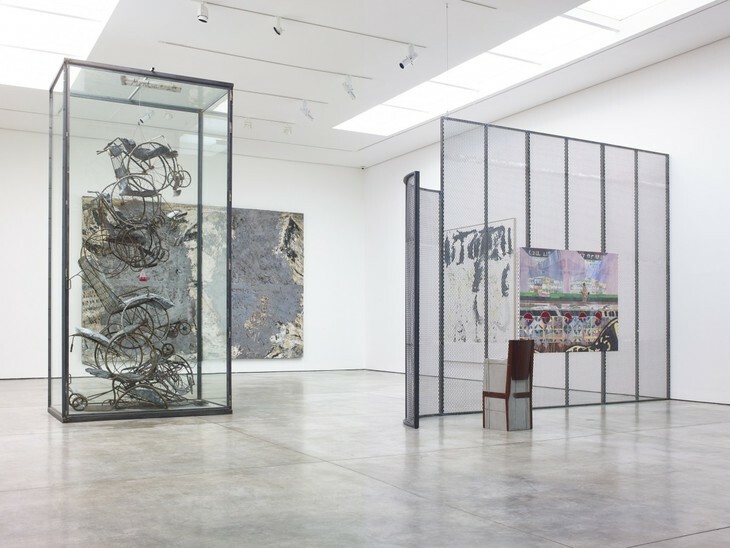 Want to know what's hot on London's exhibition scene? To make it easier to navigate, we've roughly split this article into areas of London. Read on. HOTEL OF THE FUTURE: Fancy living in a hotel designed just for you? Sounds ideal until we step into this 'Notel' designed by Lawrence Lek where there are no other guests, meaning we can explore it uninterrupted. 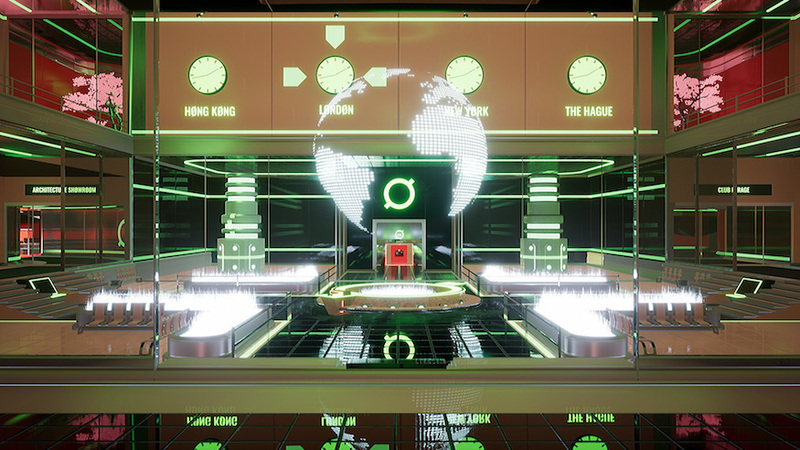 The dystopian simulation shows an eerie future where technology rules our lives. We can pick up a game pad and navigate this clinical space or glide through it in virtual reality. It feels like the kind of hell where we can check out any time we like, but we can never leave. Notel by Lawrence Lek & Kode9 at Arebyte, London City Island. Until 1 September, free. OPTICAL WIZARDRY: Colourful abstract works appear to move, but it's actually our slight movements triggering the optical illusions as the many fine lines in these works play with our sight. The best is saved for downstairs where they come to life with a superb immersive installation where projectors spin colours around us in a hypnotising whirl. We feel a little woozy afterwards, but it's definitely it's worth it. 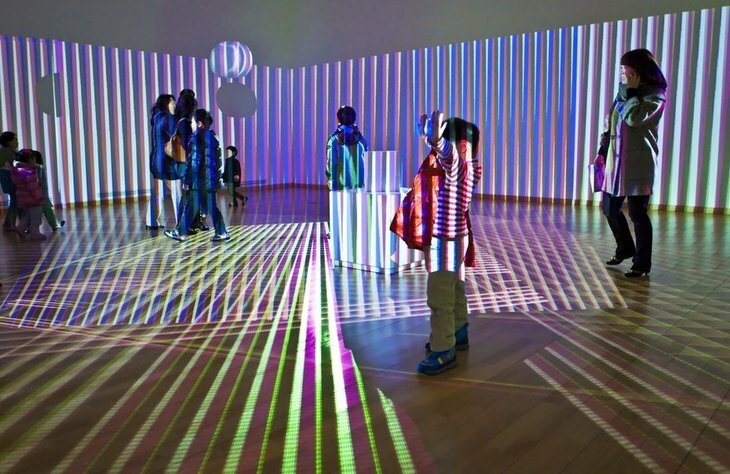 Carlos Cruz-Diez: Luminous Reality at Phillips, Mayfair. Until 6 September, free. MATERNAL LOVE: What's it like to give up a baby for adoption? 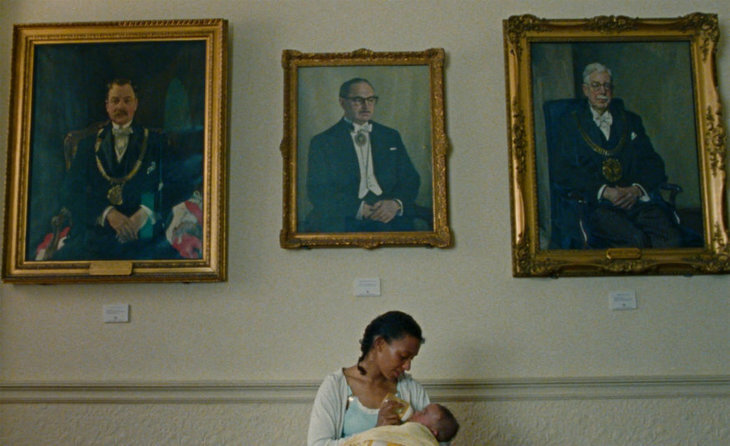 This contemporary film recreates the experiences of mothers who gave up their children to the Foundling Hospital and the judgemental interviews they had to face, including questions about the life of the father and the faith of the mother. This is a moving short film directed by Lily Cole. 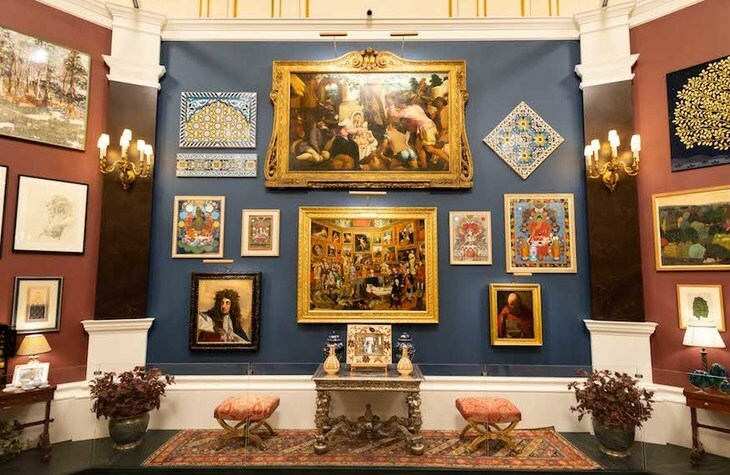 PRINCELY ART: Each year the State Rooms of Buckingham Palace are opened to the public, and they are blinging brilliant. Yes, it's touristy but everyone should go at least once if they've never been before. This year's temporary exhibition is a look at the wide patronage of Prince Charles and his highlights of the Royal Collection. There are plenty of traditional paintings such as a Nativity, but there are a few surprises including plenty of Eastern art and mosaics. Prince & Patron at Buckingham Palace, State Rooms. Until 30 September, £24. IT'S A KIND OF MAGIC: Interwar Germany inspired a movement called magical realism, which blended the fantastical with the surrounding world. This dark exhibition contains depictions of suicide, symbolising society collapsing around it, and two women hanging from nooses as part of a sexual fantasy. The world contorts around a beggar and a crucifixion has scrawny bodies writhing in agony. Horrific imagery pervades in this dark delight of an exhibition. 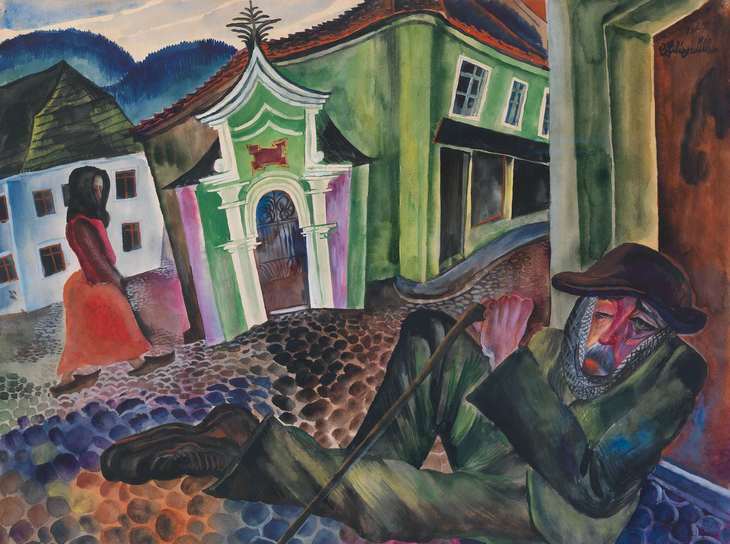 Magic Realism: Art in Weimar Germany: 1919-1933 at Tate Modern. Until 14 July 2019, free. LIGHTS, WORDS, ACTION: Words will always have their power, but what to do when one saying suggests you need to be ruthless to get ahead while another preaches kindness? Contradictory slogans pepper the walls in this work by Jenny Holzer. We see words rolling by in lights and engraved into marble — does the longevity of the marble inherently make the phrase more deserving of reverence and trust? This group of rooms challenges how we see the words that surround us and is all the more poignant in this era of fake news. 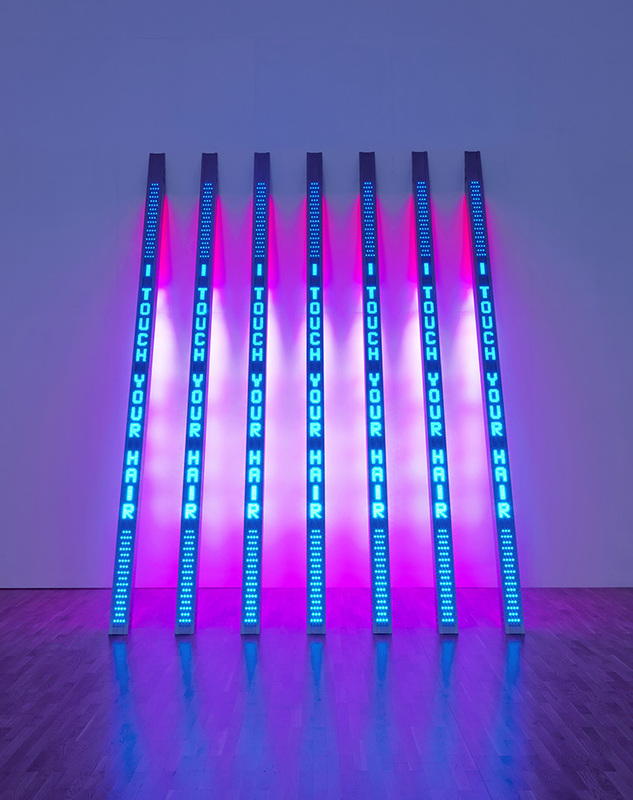 Artist Rooms: Jenny Holzer at Tate Modern. Until 31 July 2019, free. SWEET MEMORIES: Are we just a product of our memories? This monstrous group show across two galleries has many artists taking on this theme of memory. Raqib Shaw paints a bizarre dream world with demonic creatures, while Mona Hatoum's sizzling globe portrays the earth on fire. There's a huge variety of work here, from a Gormley humanoid sculpture to Christian Marclay's film that brings together film clips where museums are being trashed. The theme is a tad loose, but who cares when it brings together so many great artists. Memory Palace at White Cube, Bermondsey & Mason's Yard . Until 2 & 15 September, free. Photo: Damian Griffiths, courtesy Camden Arts Centre. 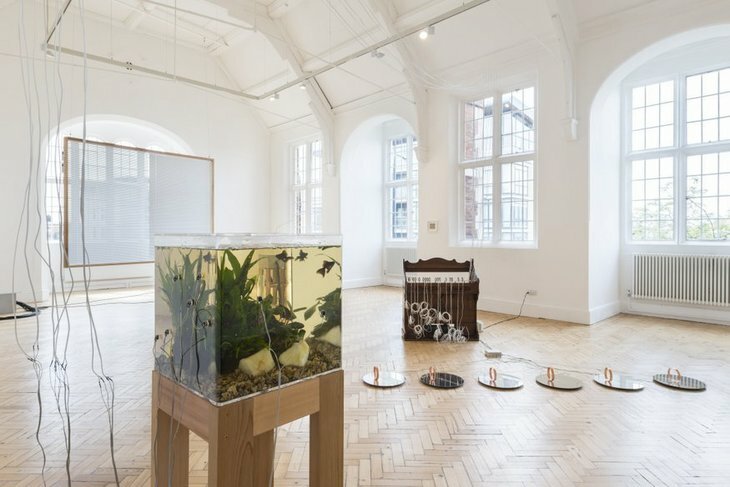 FISH TRIGGERED: Fish swim in a tank, unaware that their movements trigger movement in the gallery causing metallic objects to clink. The air also moves these small objects, resulting in a symphony of gentle calming noises in a meditative show. It's the perfect escape for those who wish life would slow down a little —- stop, breath and soak it all in. Yuko Mohri: Voluta at Camden Arts Centre. Until 16 September, free. Wander into Conrad Shawcross' maze. 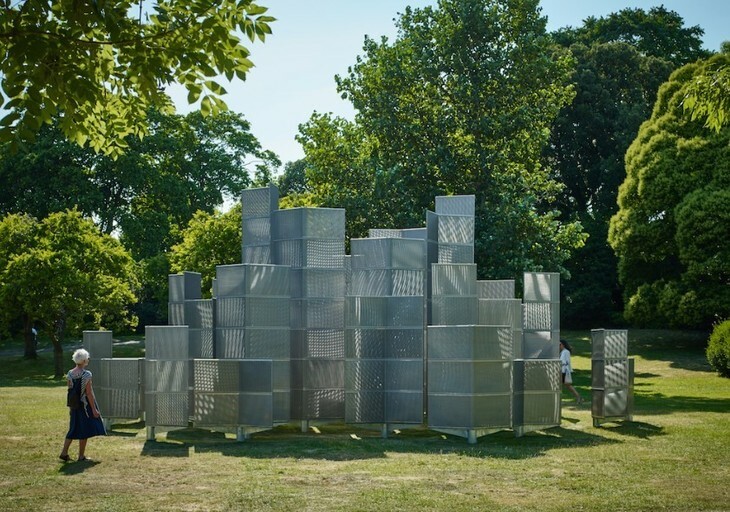 OPEN AIR SCULPTURE: This year's Frieze Sculpture Park returns with a strong line up. We wander into Conrad Shawcross' meshed maze, stare up at what looks like a giant space elevator and get close to a pillar to find casts of teeth embedded into it. Throw in an emperor penguin watching us go by and we have one of the strongest and most playful years for this sculpture park. Frieze Sculpture Park at Regent's Park. Until 7 October, free. 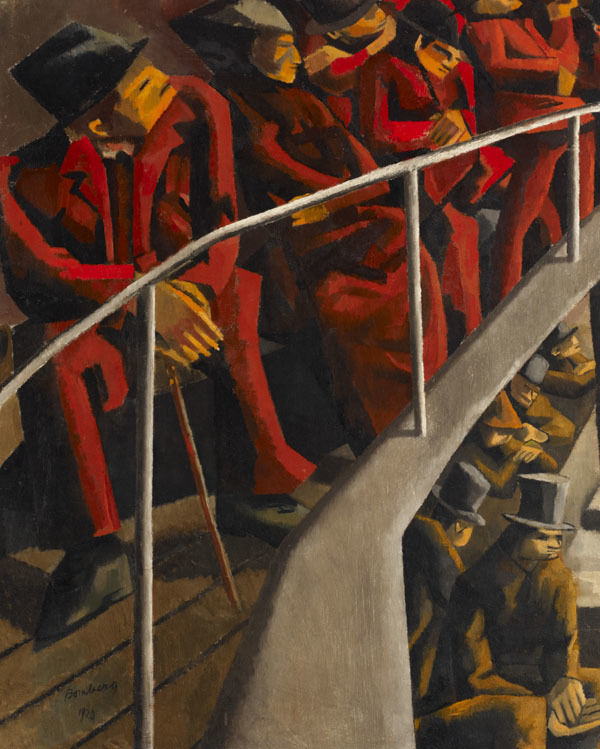 BOMBASTIC BOMBERG: Jagged lines mark out audience members in a theatre, and bold blocks of colour populate landscapes. There are megawatts of energy in the paintings of David Bomberg and there's quite the collection of his works at this north London gallery. As Bomberg's work overlapped with both world wars, there's plenty of human pain and suffering translated into paint. Bomberg at Ben Uri Gallery, St. John's Wood. Until 16 September, £5.